Kamal Haasan, the veteran actor with over 200 movies in 40 years, has spoken of recruiting "fresh, young faces" and crowd-sourcing funds to ensure transparency in his party. Kamal Haasan is going to launch a mobile app at an event on Tuesday. 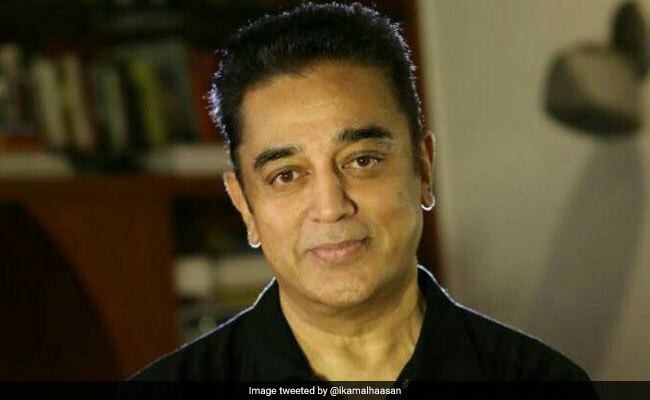 Tamil actor Kamal Haasan will launch a mobile application on his birthday on Tuesday to let him stay connected with his fans, seen as his first big step to take the plunge into politics. But he doesn't have a name for the party yet. "Some say I would announce party name on my birthday... To name a child, we should first have one," said the award-winning actor who has been very active over the last few months, levelling corruption charges against Tamil Nadu's ruling government or speaking out in support of free speech. Over the last week, he had walked right into a huge controversy with his remarks on violence by right-wing Hindu groups that earned him the wrath of the BJP. And then, he gave it right back to people who called him anti-national, filed a court case against him and declared that the actor should be "shot dead". "If we question, they call us anti-nationals and want to put us in jail. Now since there is no space in jails, they want to shoot us and kill us," Mr Haasan shot back on Saturday. BJP leaders interpreted his stinging criticism to be the precursor to a leap into politics. The veteran actor with over 200 movies in 40 years has been saying since July that he is ready to form his own political party. He has since then also spoken of recruiting "fresh, young faces" and crowd-sourcing funds to ensure transparency, policies that he has admitted are inspired by the Aam Aadmi Party of Arvind Kejriwal who he had met at his Chennai home in September. At Tuesday's event, Mr Haasan who will turn 63 the same day, will launch the mobile application that the actor promises would let his fans coordinate with his team and him. Mr Haasan, who has said that he hadn't been able to find a party that matches "his reformatory goals" in politics, had underlined the need for all like-minded people to come together at a time "the country is facing corruption and communalism". The actor, who was one of the first ones to speak against an attempt to browbeat producers to mute the politically-loaded dialogues in the Tamil blockbuster Mersal, has taken on other major political parties over the over last decade too. A few years ago, Mr Haasan had turned his fan club into a "welfare group" to motivate lakhs of his admirers in the state to channelize their energies into social causes such as cleaning up the state's water bodies. It is widely speculated that the political party he forms could be an upgraded and organised version of this initiative. In the last seven days, he has reached out to Chennai's fishing and farming communities to talk about ways to help them. At his last meeting, he had suggested his fans could lead the initiative to clean up water bodies in the state to help farmers.